The Baby Reviews - Page 8 of 8 - Your trusted guide to baby gear and tech. It was the mid 2000’s and baby swings hadn’t changed much over the last 20 or 30 years. Two friends (a roboticist and businessman, by the way) got together and knew there had to be a way to make improvements. The thought, what is the best way to figure out what is wrong with those ancient swings? Bring in a focus group of new mothers. The results speak for themselves 4moms is thriving in the baby gear industry, bringing fresh products and looks to and old school industry. 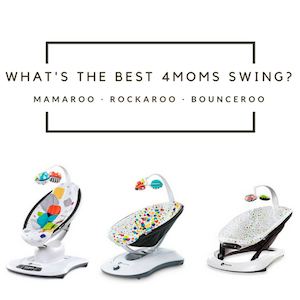 If you are in the market for a 4moms swing, there’s no doubt you might be a little confused about the differences between the mamaRoo, bounceRoo and rockaRoo. We’re here to make your research easy. 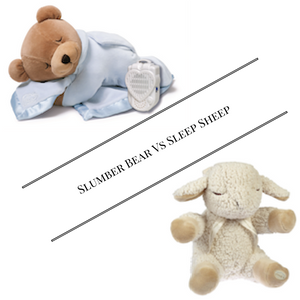 Slumber Bear vs Sleep Sheep: Which Will Sooth Your Little One to Sleep? Both the Slumber Bear and Sleep Sheep have been ranked among the top baby soothers year after year. Parents have come to trust them as tried and true audio pacifiers for their little ones. Both companies behind these cuddly soothers offer different variations of their original model, but for our purposes we are going to look strictly at the original two products from Cloud B and Prince Lionheart. Let’s get started and see how they rank up.